The Los Angeles Times has been featuring a daily photo called "Southern California Moments." While the selection has been hit and miss - the April 3rd choice was outstanding. 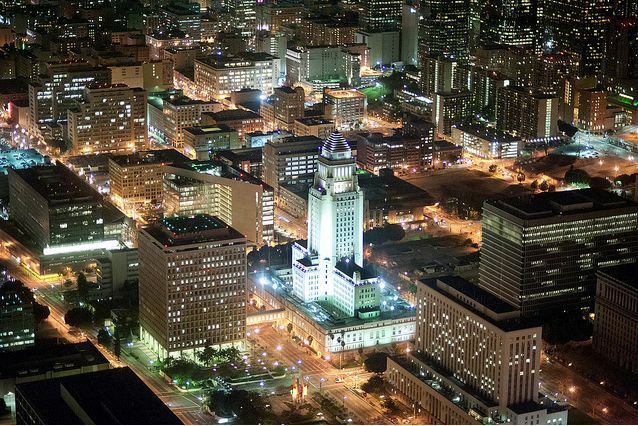 Above is a photo from Chris Jackson of City Hall. Nice. I'm not familiar enough with downtown Los Angeles to know where this was taken from, so I'd appreciate any input. Here's a link to "Southern California Moments."